Want to Buy: Wanting to buy your unwanted car, truck, van or SUV for scrap. 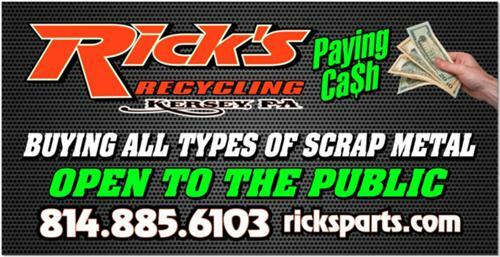 We are a licensed scrap processor and handle the disposal of your vehicle properly. We recycle all fluids and send the title in to the state with no hassle for you to deal with. All you have to do is bring us your car with the title and your drivers license, we give you cash and we deal with the hassle! Paying best price in the area for complete vehicles. Four wheels, battery and catalytic converter must be on vehicle to get highest price. Call for current pricing. Highest price will be paid if driven/towed to our location. Pickup is available but again you will get the most money if you drive or tow it to us. *State ID and title are required for all vehicles. *Person or persons on title must be present to sign off on title. *Do NOT deface title in any way or write junk on title. We can not accept these titles, it is illegal to deface a title and a duplicate will be required for you to purchase from the state.